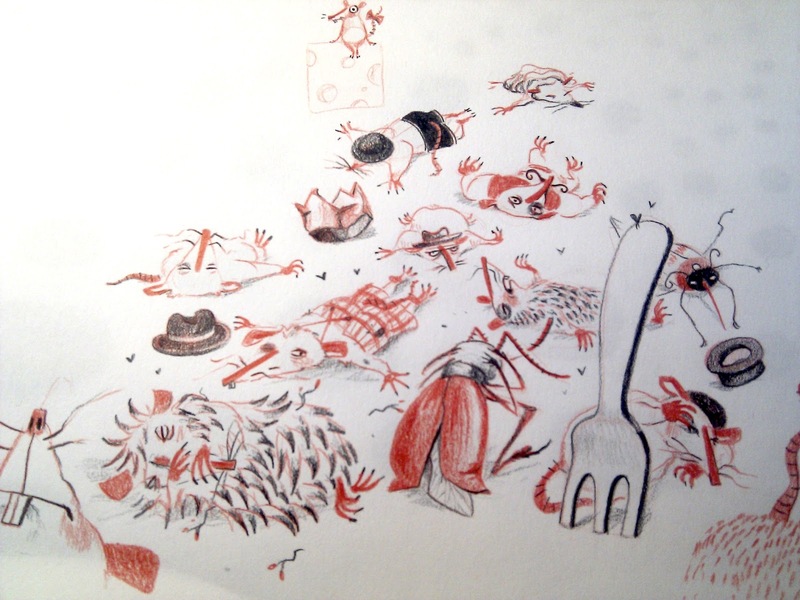 I finished drawing a book last night (though I am sure there will be corrections later) and went straight to bed. I was too tired to tidy anything. Instead I listened to "Titus Groan" until I fell asleep. This morning I woke up early and went downstairs to read comics. and now it's time to drink tea and start laying out the next book. 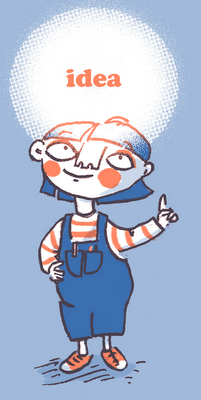 This lady might get her own book soon, if everything goes to plan. I'm still drawing rats. 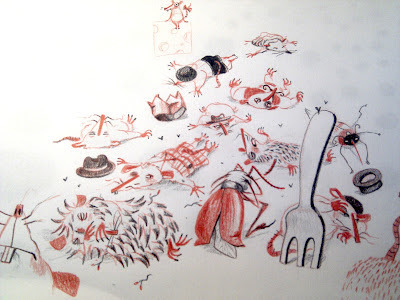 At the moment, mostly unconscious ones. 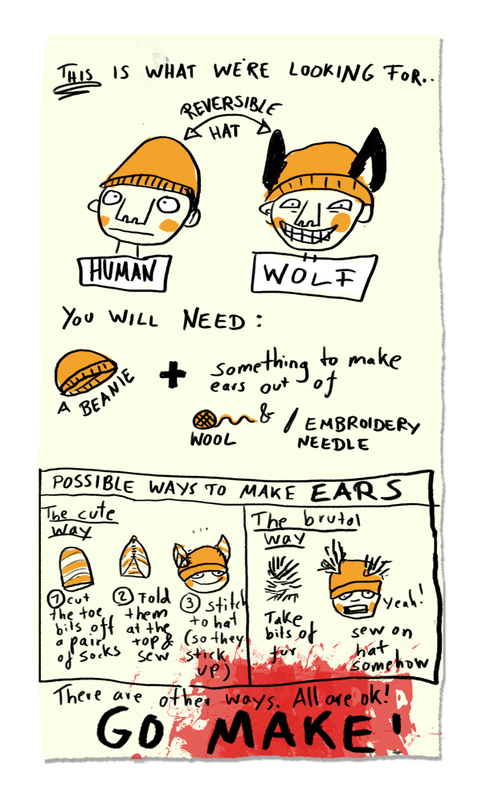 I also drew instructions for making a reversible wolf hat for The Howling, a game I'll be running with Firehazard early next month. Participants will need to bring one along. The game will involve a lot of running, howling, and nerf guns. It should actually be quite scary, if all goes as planned. Yeah. Valentine's Day is coming up and shop windows are becoming opaque with heart-shaped decorations. So grab some children's books and donate them to your local dentist's waiting room. Or give them to a school. Or a friend with children, even. Or a Charity... I like the waiting room idea best, myself, because there are always sick and scared and bored children there and somehow never enough books to make them feel better. 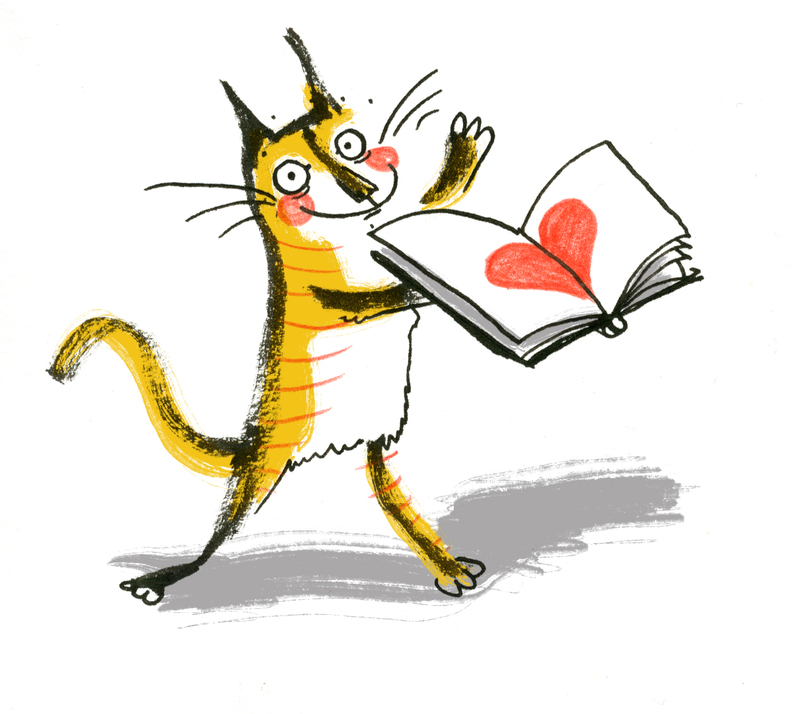 Or if you are an artist - why not whip up a book plate for the website? 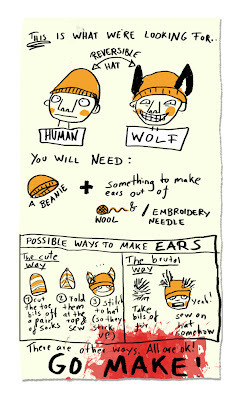 Or a little poster? Spread the word! Go on! 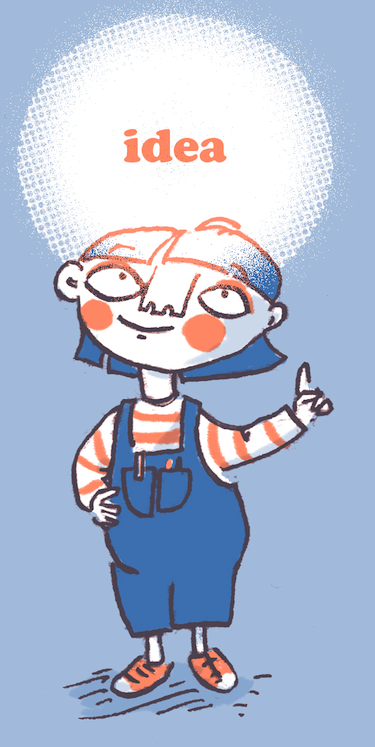 And if you're not an artist and want a picture to use: have one from me. Here. 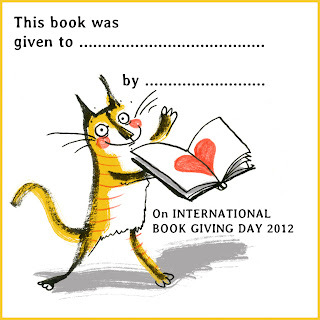 You can use this image in any way you like as long as it's somehow beneficial to International Book Giving Day. Go and see what you can do! And let the nice people over at that site know about it! UPDATE: Here's a lovely bookplate you can print out and use by Clara Vulliamy. That's the spirit! UPDATE: and here's my bookplate. Print it stick it fill it in! 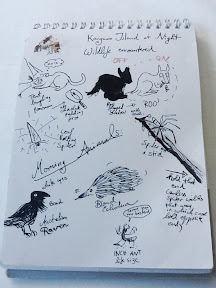 Here's a page of Australian night life (and morning animals). 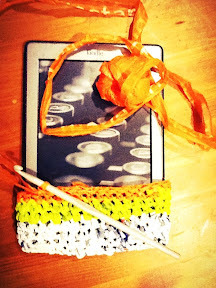 I woke up early today and decided to start making a plastic pouch for my kindle to keep it in until I'll get around to making a truly fabulous one. I used up four old shopping bags, then I got bored, and now I shall start working on my books instead. I don't know when it happened, but I've been less and less keen on making anything other than books recently. I think it's because I seriously want to get some novels published. It feels like it's time for me now to make books with more pages, and exciting ebooks. 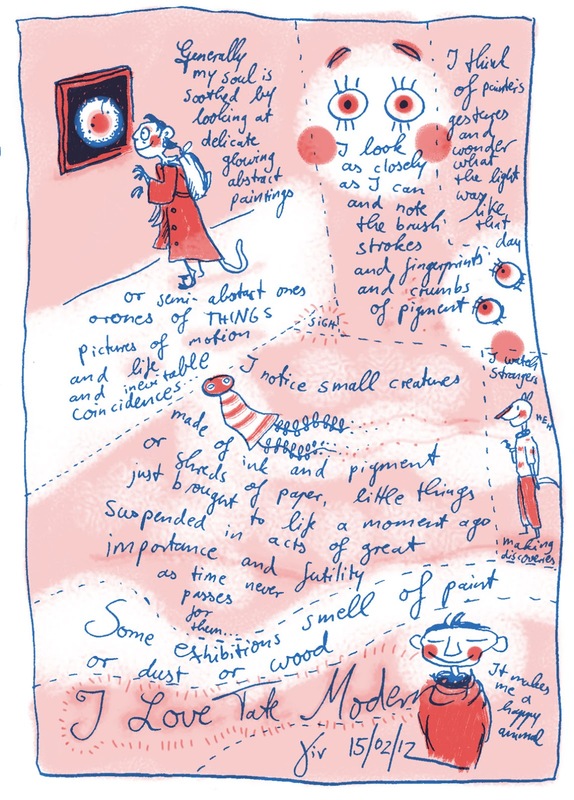 I've been reading a lot, mostly thanks to the Kindle which accompanied me in Australia, and thinking: this is what I want to make, books full of words. So today I will set down a plan on how to achieve this, and schedule 2012. Life is too exciting to spend crocheting tiny wonky pouches! Except six o' clock in the morning, maybe. Back in the Snowy Regions! 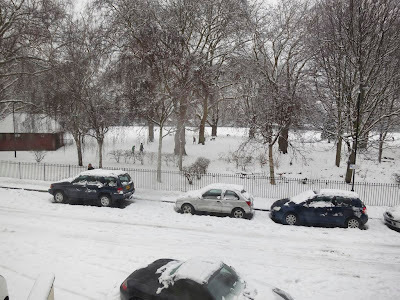 Apologies for the bad image quality of my Australia posts, the ipad blogging software I was using insisted on compressing everything, but you can click on the pictures to get a better view. which was a bit baffling after two weeks of sun-block and emergency ice-cream. 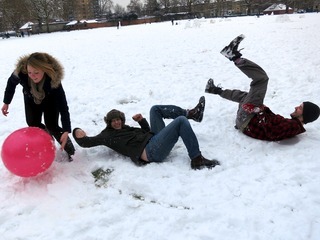 I made the best of it though, joining a brisk game of Circle Rules Football, or rather Circle Rules Snowball. By the way, I am working on an all-new game for Fire Hazard - a werewolf-themed one, because I have had enough of Zombie games. There will be nerf guns and howling, and special hats. If you are London-based and like making up games, why not come along to the planning session? Or, more generally, why not join Fire Hazard for fun and games and accidental exercise (as opposed to exercise on purpose).